Tommy Frank Chapman was born in Port Arthur, Texas to Edward E. Chapman, Sr. and Anna Y. Chapman. He married Kathy on May 10, 1985. Tommy and Kathy are the parents of two children: Katie Rendon and Chance Chapman. Katie is married to Timothy Rendon, who is also a member of Nederland Lodge. The Chapmans are members of Hillcrest Baptist Church in Nederland, Texas. Following his graduation from Nederland High School in 1980 Tommy attended McNeese State University in Lake Charles, Louisiana and Lamar University in Beaumont, Texas. Tommy went to work for the Jefferson County Sheriff Department in 1985. He has earned two Masters Certificates from the Texas Commission on Law Enforcement Officer Standards and Education. Tommy was raised to the sublime degree of Master Mason on May 10, 1983 in Nederland Lodge No. 1368. He served as Worshipful Master of Nederland Lodge in 1990-1991. Tommy was presented with the Golden Trowel Award for Exceptional Service by Nederland Lodge in 2002. He currently holds a Class A Certificate which expires in 2019, giving him 23 total years. Tommy served as District Deputy Grand Master of Masonic District No. 26-A in 1995. He served on the Grand Lodge Committee on Petitions in 1992 and served on the Grand Lodge Youth Activities Committee from 2005 until 2011, serving as Chairman in 2008, 2010, and 2011 and Vice-Chairman in 2009. Tommy served as Grand Master Conference Chairman in 2003. He served as Area Coordinator for the Grand Master in 2006. 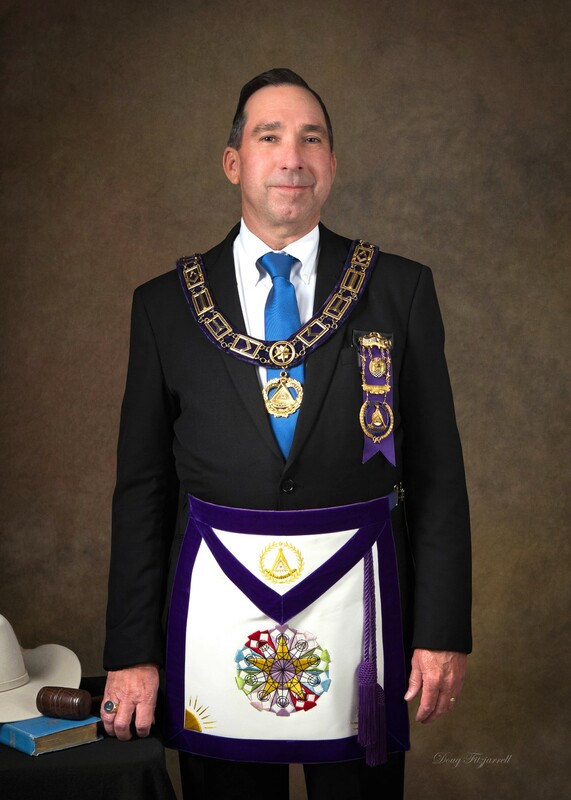 He also has served as Grand Representative of the Grand Lodge of Benin near the Grand Lodge of Texas since 2006. Tommy was appointed to the Texas Masonic Youth Foundation in 2007 and serves on the Grants Committee. He also served on the Special Assignments Committee in 2009 and as its Vice-Chairman in 2010. He was again appointed to serve as Chairman on the Youth Activities Committee in 2013 and 2014. He was appointed Special Deputy to the Most Worshipful Grand Master in 2013. He was elected Grand Junior Warden in December 2014, Grand Senior Warden in December 2015, Deputy Grand Master in January 2017, and Most Worshipful Grand Master in January 2018. Tommy was exalted in the Port Neches Chapter No. 436, Royal Arch Masons and served as High Priest in 1992-1993. He received the Order of High Priesthood in 1992. Tommy served on the Grand Chapter Credentials Committee in 1995.He served as District Deputy Grand High Priest for Capitular District No. 5 in 2000. He also served on the Grand Chapter Committee on Grievances and Appeals from 2007-2009. Also, he served on the Grand Officers Reports Committee in 2009. He was appointed to the Purposes and Polices Committee in 2014 and served as Chairman in 2015 and 2016. In 2010, he was appointed as Grand Representative of the Grand Chapter of Montana near the Grand Chapter of Texas. He was elected Right Excellent Grand Scribe in 2009, Right Excellent Grand King in 2010, Right Excellent Deputy Grand High Priest in 2011, and Most Excellent Grand High Priest in 2012. Tommy was greeted in Port Neches Council No. 413, Royal and Select Masters and served as Thrice Illustrious Master in 1993-1994. He received the Order of the Silver Trowel in 1993. Tommy served as District Deputy Grand Master for Cryptic District No. 5 in 1997. He served on the Grand Council By-Laws Committee from 1999-2003 and served as Chairman of that committee in 2004. He served on the Grand Council Purposes and Policies Committee in 2005. Tommy served as Illustrious Grand Conductor of the Council in 2001 and again in 2005. He served as Special Deputy to the Grand Master in 2005. He has served the Grand Council as Grand Representative of the Grand Council of Portugal near the Grand Council of Texas since 2005. Tommy was elected Right Illustrious Grand Principal Conductor of the Work in 2005, Right Illustrious Deputy Grand Master in 2006, and Most Illustrious Grand Master of the Grand Council of Texas in 2007. He received the Cryptic Triangle Award in 2009. He served on the Finance Committee from 2009-2014.and served as the Co-Chairman in2013. He is currently serving on the Jurisprudence Committee. Tommy was elected as Vice-President of the York Rite Esoteric Association in 2009. In 2010, he was elected to serve as President. Tommy was knighted as a Knight Templar in Port Arthur Commandery No. 73 and is a dual member of Beaumont Commandery No. 38. He served as Commander of Beaumont Commandery in 2000. He was appointed to the Grand Commandery Dispensations and Charters Committee in 2001. He became a member of the Sovereign Order of the Knights Preceptor in 2011 with his father and son. He was appointed to serve on the Jurisprudence Committee in 2011. He received the Excalibur Award in 2012 from Port Arthur Commandery No. 73. He is serving the Grand Commandery as Grand Representative of the Grand Commandery of Illinois near the Grand Commandery of Texas. He served as Vice Chairman of the Templar Instruction Committee 2013-2014, and served as Chairman since 2015. He received the Knight Templar Cross of Honor in April 2014. Tommy is a member of Texas College, Societas Rosicruiana In Civitatibus Foederatis. Tommy is a member and served as Puissant Sovereign of the San Felipe Conclave Knights of the Red Cross of Constantine in 2011. He received the Red Cross of Constantine in 1998. Tommy received the Knight of York Cross of Honor in 2001 and is a member of Thomas H. Ridout Priory No. 75. He received the Holy Royal Arch Knight Templar Priests in 2006 and is a member of Resurrection Tabernacle No. XXI. He became a member of Southeast Texas York Rite College in 2003 and is a Past Governor. He received the Order of the Purple Cross in 2013. He was appointed Deputy Grand Governor of Texas in 2016. 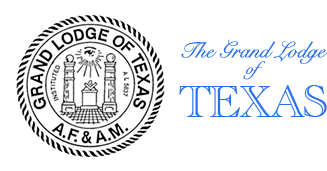 Tommy is a member of the Galveston Scottish Rite Bodies. He is Degree Master of the 6th and 15th Degrees and Assistant Degree Master of the 28th Degree, and he has served as Assistant Degree Master of the 32 Degree. He served on the Reunion Staff and works on several Degree teams. He served on the Scholarship and Membership Committees. He served as President of the Mid-South Jefferson County Club in 2000. He has served on the Maundy Thursday and Re-Lighting of the Tapers teams since 1996. Tommy served as Wise Master in 2003, Venerable Master in 2004, Master of Kadosh in 2005, and Commander- Council of Kadosh in 2011. He served on the Executive Committee from 2003-2005 and 2011. He was honored with the Knight Commander Court of Honor in 1999 and was coroneted a Thirty-Third Degree Inspector General Honorary in 2003. Tommy is a member of El Mina Shriners and served as President of Mid-Jefferson County Shrine Club in 2016-2017. Tommy is a member of Nederland Chapter No. 1079 Order of the Eastern Star. He served as Worthy Patron in 1999-2000 and 2014-2015. 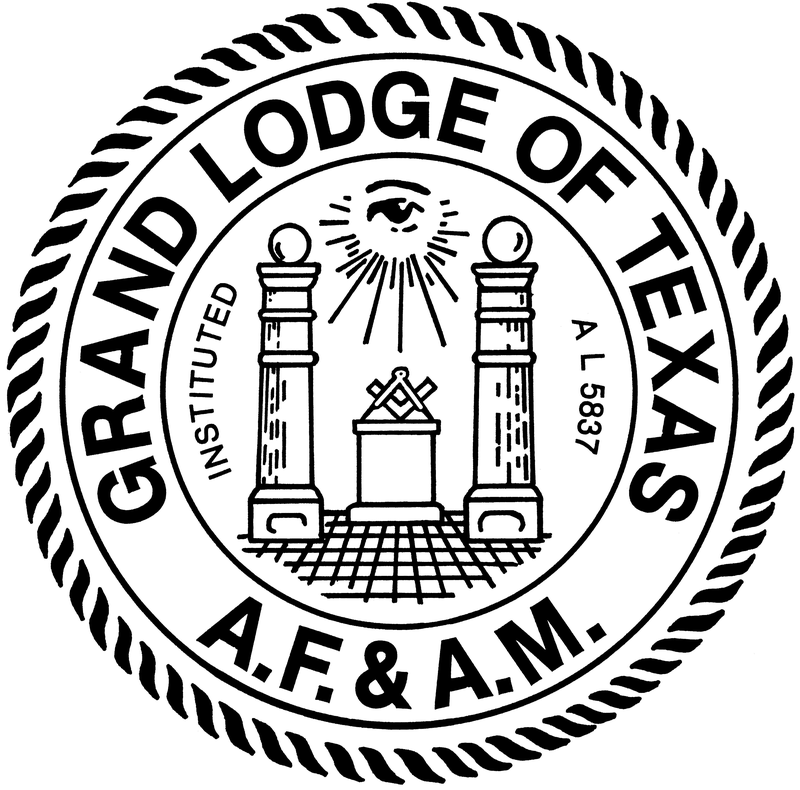 He served on the Grand Chapter of Texas Masonic Centurion Committee in 1999-2000. 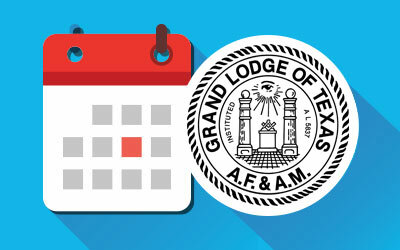 He also served on the Grand Chapter of Texas Spring Fling Committee 2000-2001, Arrangements Committee- Security 2011-2012, Roping in the Masons, District 4 Chairman in 2015-2016, and Arrangements Committee- Security 2016-2017. Tommy has served as an Adult Volunteer since 1997 and on the Advisory Board of Port Neches Assembly No. 159 International Order of the Rainbow for Girls from 2003-2013. He received the Grand Cross of Color Degree in 2001. Tommy is a Life Member of DeMolay International. As an active DeMolay he served as Master Councilor of Nederland Chapter and was awarded the Past Master Councilor Meritorious Service Award. He also received the Representative DeMolay Award, Founders Membership Award, Blue Honor Key award, and the Lamp of Knowledge. He was knighted as a Sir Knight in the Houston Priory. He was elected and served as District Deputy State Master Councilor. He was also elected and served as South East Texas Area Master Councilor. He received the Degree of Chevalier in 1980. Tommy has served as Chairman of the Advisory Council of Nederland Chapter Order of DeMolay since 1993. He has received the Legion of Honor, Cross of Honor, and Advisor’s Honor Key. He was made an Honorary State Master Councilor of the Texas DeMolay Association by his son during his term. He is currently serving as Grand Commander of the Texas State Court of Chevaliers. He was elected an Honorary Member of the International Supreme Council of DeMolay International in 2013.